ZIONSVILLE, IN (December 21, 2009) — Legends of Motorsports, has announced an additional event to its premium historic automobile race weekend at Barber Motorsports Park on May 20-23, 2010. The special race will solely include Lotus racing cars, featuring a variety of the marque’s most popular models. The Barber Vintage Motorsports Museum at the Barber Motorsports Park includes more than 1000 vintage and modern motorcycles and a substantial collection of 43 vintage Lotus cars, the largest collection in North America. Consequently, the Lotus-exclusive race will be open to a raft of years and models of the famed British sports cars including Lotus 7, Lotus Super 7, Lotus 9, Louts 11, Lotus 15, Lotus 17, Lotus 19, Lotus 23, Lotus 26, Lotus 47 and Lotus 62.
executive Peter Stoneberg, who serves as CEO for HMP. All three men are active participants in historic racing in their own right. Legends of Motorsports events typically include a variety of the most popular historic racing classes and cars. These include GTP/Group C; 3.0 Liter era Formula One; F.I.A. Championship of Makes; 2.0 Liter Sports Racers; Trans-Am; Can-Am; IMSA GT/Production Cars; and Formula Libre. In addition, at certain events individual automobile manufacturers and classes will be celebrated through special programming. Beyond vintage racing, HMP event weekends feature a variety of entertainment diversions such as fashion shows, race car parades, car shows and rallies. Tickets for the Legends of Motorsports at Barber Motorsports Park are on sale to the public beginning January 15, 2010. Historic Motorsports Productions LLC (HMP) is a business partnership dedicated to staging the Legends of Motorsports, a Bobby Rahal Signature Event, which is an annual series of premium vintage racing events and related lifestyle experiences at historic North American venues. Based in Zionsville, Indiana, HMP’s principal owners are racers and businessmen Bobby Rahal, Peter Stoneberg and Zak Brown. Additional equity investors in HMP include Spire Capital Partners and Just Marketing International, which provides comprehensive strategy, marketing, public relations and event logistics services to the venture. For more information, please visit HMP on the worldwide web at www.hmpseries.com or by calling (317) 344-1998. ? Barber Motorsports Park opened in the spring of 2003. Since its inception, Zoom Motorsports, LLC has been the exclusive event promoter for the events at the Park. The 2.38 mile racing circuit is 45 feet wide, with 17 turns and elevation changes of more than 80 feet. The Barber Motorsports Park has been considered one of North America’s finest road courses for car and motorcycle racing, and has served as the venue for several international product launches. The Barber Motorsports Park also features the Barber Vintage Motorsports Museum. This 144,000 square-foot facility houses more than 1,000 vintage and modern motorcycles from 17 different nations and more than 125 manufacturers. For more information, please visit www.barbermotorsports.com. Family-owned business Qvale Auto Group said Wednesday it purchased Silicon Valley Auto Group and its franchises, which includes the Lotus of Los Gatos dealership. The SVAG group is to be renamed Los Gatos Luxury Cars and its franchises will remain at shared locations in Los Gatos: 66 East Main Street and 620 Blossom Hill Road. 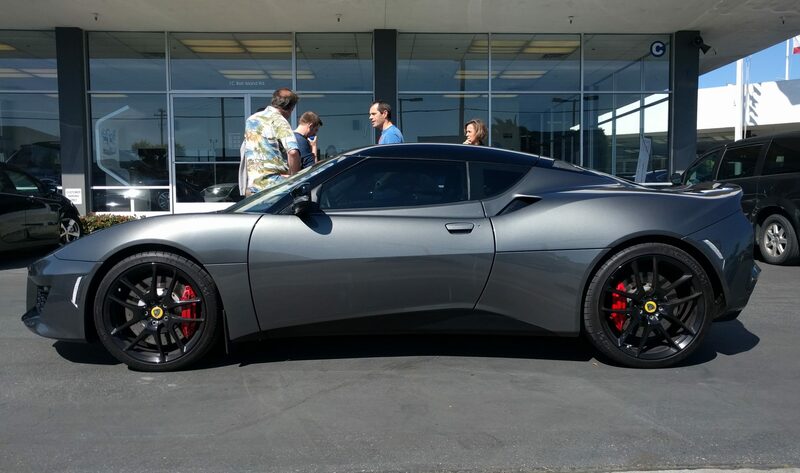 The Qvale Auto Group also owns Lotus of San Francisco dealership which is part of the British Motor Car Distributors located on Van Ness Avenue in San Francisco. Silicon Valley Auto Group has been a long time supporter and sponsor of the GGLC and we wish them all the best for the future. F1 driver Jarno Trulli straight from being announced as driver for Lotus F1 Racing in Malaysia made the trip to the home of Lotus at Hethel in England, visiting where Lotus history was made. It was an exciting day, with Jarno enjoying a visit to the production facilities, meeting Lotus staff and driving the new Lotus Evora – the first Lotus he has ever driven! Jarno was also given a special tour of the Classic Team Lotus workshops by Clive Chapman, son of Lotus founder Colin Chapman. During the visit to Classic Team Lotus Jarno viewed some of the most successful and iconic F1 racing cars of all time. The tour was steeped in Lotus heritage and included some of the F1 cars that helped Lotus to achieve 79 GP wins, seven constructor’s titles and 6 drivers’ championships, including, Emerson Fittipaldi’s Type 72, Graham Hill’s Type 49 and Jim Clark’s Type 25. The Golden Gate Lotus Club is pleased to announce another full season of Lotus Open Track Days in 2010! There are currently 4 GGLC Open Tracks Days are on the calendar and there’s more to come! Join the fun! GGLC Open Track Days are designed to allow the Lotus and sports car enthusiast enjoy driving in controlled conditions without random traffic and law enforcement. GGLC Open Track Days are not races, but allow the driver to run at their pace and enjoy the capability of the car. Click here for more info. 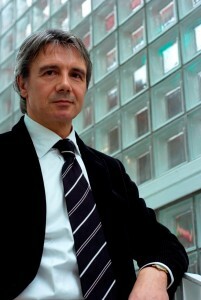 Group Lotus is delighted to announce the appointment of Mr. Donato Coco as Director of Design for Group Lotus starting 04 January 2010. 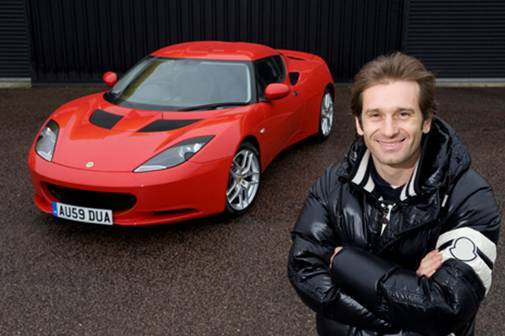 In this newly created role, Donato will lead all Lotus Design activities for Lotus Cars and Lotus Engineering. Head of Lotus Design, Russell Carr will continue to work on both Lotus products and third party design work, an area which is growing rapidly especially in the emerging Asian markets. Donato Coco was previously Director of Design and Development – Ferrari where he worked on the Ferrari F430 Scuderia coupé and Spider 16M, Ferrari California, 599XX and the F458 Italia. Prior to Ferrari, Donato worked for Automobiles Citroën rising to the position of Chief Designer and was responsible for, amongst others, the Xsara, Picasso, C3, C3 Pluriel, C2, C1, ZX Paris Dakar and the Xsara WRC. 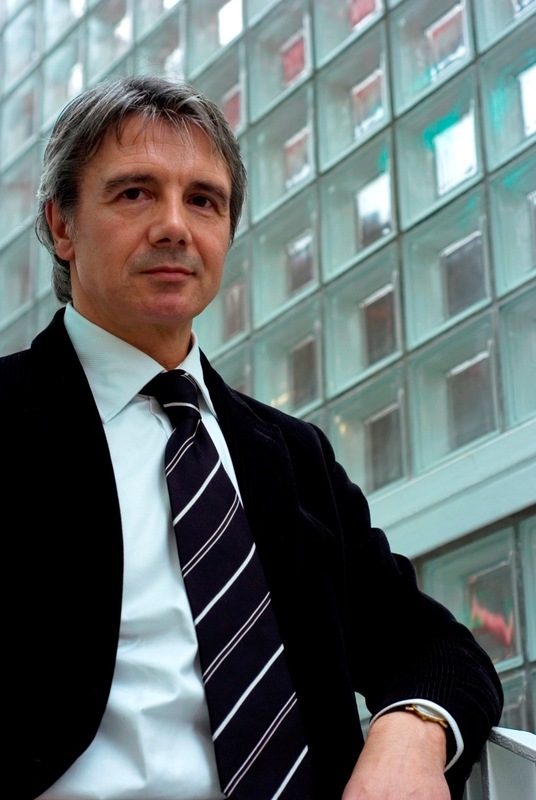 Donato Coco holds an MA in Automotive Design from the Royal College of Art, London, England. Whilst at the RCA, he was awarded first prize in a design competition, which was presented to him by Margaret Thatcher when she was Prime Minister of Great Britain. Donato Coco is an Italian national. He will be based at the Lotus Headquarters in Hethel, England. Lotus Design has developed a unique understanding of what makes beautiful, iconic vehicles. A passion for design and breadth of experience allows Lotus to influence the whole product development process from the first mood boards and sketches through to production release. Working from a purpose built design studio since 2000, an ever-increasing global client base has seen design work delivered out of the USA, China and Malaysia. Lotus designers have a unique blend of passion and commercial pragmatism having worked on 23 major programmes including 5 production cars for Lotus and 8 production cars for clients, some of which are high volume cars in just 11 years. In each case, Lotus Design has worked closely with the client to deliver a product that fits their brand DNA and is commercially viable. In addition to highly successful production programmes, Lotus Design also offers concept cars and show car build services presenting an enthralling blend of exterior and interior design that stimulates the customer on a practical, tactile and emotional level. Strong proportion, emotional form, dynamic line, innovative material choice and distinctive graphics are what, subconsciously; create a first and often lasting impression with a customer. In an increasingly competitive market, innovative and exciting design is relevant to all vehicle types and volumes and this is where Lotus Design excels. Martin Brundle, one of the most talked about legends in British motorsport recently spent a day at the world-renowned Group Lotus UK headquarters, sampling a piece of Lotus heritage and driving the firm’s latest offering, the all new Lotus Evora. Brundle called on Classic Team Lotus where Clive Chapman (son of Lotus’ founder Colin Chapman) showcased some of his Father’s much loved Formula 1 projects. 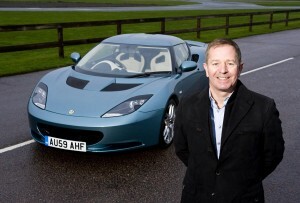 Brundle also toured the state of the art manufacturing facilities and sampled the Lotus Evora for the first time around the famous Lotus test track. Lotus F1 Racing has today confirmed that Italy’s Jarno Trulli, Finland’s Heikki Kovalainen and Malaysia’s Fairuz Fauzy have joined the team to spearhead driving duties for its debut Formula 1 season in 2010. There has been much speculation surrounding the identity of Lotus F1 Racing’s driver signings in recent weeks, but the appointment of Jarno, Heikki and Fairuz was made formal in an official announcement by Malaysian Prime Minister Dato’ Sri Najib Tun Razak in Kuala Lumpur this afternoon, at which Jarno, Heikki and Fairuz were also present. 35-year-old Trulli is one of the most experienced, consistent racers in Formula 1 and unquestionably still one of the fastest men over a single lap. He is one of just a select few drivers to have tasted victory in Formula 1, and that at the jewel in the crown of Formula 1 racing, the Monaco Grand Prix. He has also finished in the top ten of the drivers’ Championship table on seven occasions. Heikki’s F1 career began in 2006 when he made his debut as a test driver. His appointment to the Lotus F1 Racing team will see the 28 year old Finn starting his fourth season in the Formula 1 World Championship and he brings with him a race winning reputation, confirmed by his first victory in Hungary in 2008, and a wealth of experience that will make a potent combination with fellow race driver Jarno Trulli and Fairuz Fauzy. 27-year-old Fauzy joins the team having previously held a Formula 1 testing role for the Spyker squad back in 2007. Since then he has driven in the F1 feeder series GP2, the World Series by Renault, as well as being named as lead driver for Malaysia’s involvement in the A1GP Championship. Jarno made a fighting start to his Formula 1 career when he joined the Minardi team in 1997, but after just seven races he was asked to replace the injured Olivier Panis at Prost where he made an immediate impact. He finished fourth in the German GP and led the Austrian GP until he was cruelly denied a sensational podium finish with an engine failure. Nonetheless, Jarno had made his mark and stayed at the Prost team for a further two seasons. Results were not forthcoming but he claimed his first career podium with a fine drive to second place in the wet European GP in 1999. The result was something of a fitting farewell to his time at Prost as Jarno joined the Jordan Grand Prix squad for the new Millennium. It was another barren period for Jarno in terms of podium results but a handful of fourth places and some sublime qualifying performances attracted the attentions of the Renault team for 2002. His first year at the French manufacturer alongside Jenson Button did little to improve upon his previous results but in 2003, with the team’s technical department led by Mike Gascoyne, he was given a more competitive car with which to show his full potential. Racing alongside Fernando Alonso, Jarno returned to the podium for the first time since his Prost days with third place in the German GP at Hockenheim. The result gave Jarno renewed confidence and paved the way for Jarno’s breakthrough season in 2004. Once again partnering Alonso, Jarno attained regular points and podium challenges before taking a breathtaking victory around the streets of Monte Carlo. Jarno had established himself as one of the men to beat but midway through the year relations with his team had started to deteriorate and towards the end of the year he opted for a surprise switch to Toyota with whom he would stay until 2009. In his five-and-a-bit seasons with Toyota Jarno put in some incredible performances both in qualifying and in races. In his first full season with the team in 2005, with Mike Gascoyne at the technical helm, he was one of the Championship leaders in the early races taking Toyota’s first ever podium results in Malaysia and Bahrain. Toyota’s competitiveness dropped off after Gascoyne’s departure from the team in 2006 and Jarno was only able to fight for occasional points finishes until a reversal of fortunes in 2008. His scored his first podium in three years at the French Grand Prix and Toyota were one of the teams to beat in the first races of 2009. Jarno took an incredible pole position in Bahrain but a miscalculated race strategy prevented him from converting it into the team’s maiden victory. Nevertheless, with two podiums from the first four races and a highly competitive second place in the team’s home race in Japan, Jarno ended the season – what would be Toyota’s final in Formula 1 – with some career-high performances. Incredibly, the 2010 season will mark Jarno’s 14th season in Formula 1 but he shows no signs of slowing down. By joining Lotus F1 Racing, Jarno has the chance to rejoin Mike Gascoyne and to spearhead a brand new team into Formula 1. His vast experience racing at the pinnacle of motorsport and his respected reputation as a team-player will be vital characteristics to the new Lotus F1 Racing team as they fight their way up the grid during 2010. Heikki started his motor racing career karting in the early 1990’s. His first recognition came with second place in the Finnish Formula A Championship in 1999 and 2000. That year also saw Heikki add the Scandinavian Championship and the Elf Masters, held at Paris Bercy, to his achievements, earning him title of Karting Driver of the Year in his native Finland. Heikki’s success saw him move up to the British Formula Renault Championship in 2001, bringing two wins, two poles and three fastest laps, enough to give him fourth place in the Championship, plus the 2001 Finnish Automobile Sports Federation “Rookie of the Year” award. That same year, Heikki made his F3 debut at the world renowned Macau Grand Prix, finishing 8th. In 2002 Heikki moved on to compete in the British F3 Championship, scoring an impressive five wins, three poles and three fastest laps, securing his third position in drivers’ standings. He was once again given the “Rookie of the Year” award, and won the prestigious F3 support race at the British Grand Prix. He capped an impressive year by finishing second in Macau and fourth at the Marlboro Masters at Zandvoort. In 2003 Heikki competed in the World Series by Nissan: a win and two poles were enough to get second place in the Championship. That same year he also made his F1 test debut, driving the Renault R23 at Barcelona and the Minardi Cosworth at Vallelunga two weeks later. 2004 brought more success for Heikki, securing the World Series by Nissan Championship. Driving for the Pons Team he crushed the opposition, with six wins, nine poles and ten fastest laps to his name, competing alongside Tiago Monteiro, Enrique Bernoldi and Narain Karthikeyan. As a member of the Renault Driver Development Program Heikki assisted with the development of Renault’s Championship winning R24, adding to his growing F1 experience. Stade de France, Paris, was the venue for the season ending Race of Champions in 2004. Alongside Marcus Gronholm, Heikki represented Finland in the Cup of Nations, where he and his team mate took the runner-up spot. However, the top step of the podium did not elude him long, with Heikki winning the coveted Champion of Champions title by beating 2004 World Rally Champion Sebastian Loeb and seven times Formula 1 World Champion Michael Schumacher in front of a packed stadium. In 2005 Heikki moved up to GP2, taking part in the inaugural series with Arden Motorsport. His impressive development continued, finishing second overall in the series, securing five wins and two poles along the way. 2006 saw Heikki make the step up to the very pinnacle of world motorsport, replacing Frank Montagny as the Renault F1 Team’s third driver. A series of impressive displays in testing saw him achieve his primary Formula 1 goal, with the announcement he had been promoted by the Renault F1 Team to a full-time race seat for the 2007 season. Pitted against the vastly experienced Giancarlo Fisichella, Heikki enjoyed an excellent debut season in 2007, out-performing and out-scoring his team-mate, becoming second best rookie of the season after Lewis Hamilton and taking a very credible seventh place in the final Championship standings. These achievements did not go unnoticed, and in December 2007 Team Vodafone McLaren Mercedes announced Heikki as team-mate to Lewis Hamilton, a position he held for the 2008 and 2009 seasons, until today’s announcement of his appointment to Lotus F1 Racing. 2008 saw Heikki claim both his first pole position, at the British Grand Prix at Silverstone, and his first race win, at the Hungarian Grand Prix, where he became the 100th driver to win a Formula 1 Grand Prix. Mohamed Fairuz bin Mohamed Fauzy was born on 24 October 1982 in Kuala Lumpur, Malaysia. From an early age, Fairuz began displaying a natural aptitude to speed. As a child, when most other kids his age were watching cartoons or playing with their friends, Fairuz could be found on a go-kart circuit. By the age of 12, he was already competing with senior drivers in international races. In 1995, Fairuz, 13, clinched his first victory in one of the Championships – the Formula TKM Race in Buckmore Park, England, which became the base from which he would launch his bid for Formula 1. A host of other Championships followed, including 5 times consecutively reigning champion of the ASEAN Kart Prix from 1996-2000. In 2000, Fairuz moved to the UK to participate in his first international single-seater series – Formula Ford Zetec Championship. After that time, he participated in numerous races such as the British Renault Sport Winter Series, British Formula Renault Championship, British Formula 3 Scholarship Class and British Formula 3 Championship Class. Fauzy moved to the GP2 Series in 2005, signing with the DAMS team and becoming the first Malaysian and one of only a number of Asian drivers in the Championship. Fairuz then contested the Championship in 2006 with the Super Nova International Racing team. During this period, he was also one of the A1 Team Malaysia’s drivers alongside Alex Yoong in the A1GP. After GP2, Fauzy was confirmed as Spyker F1’s test and reserve drivers for 2007. He also participated in World Series by Renault in 2007 with Cram Competition team and in 2008 with Fortec Motorsport. Additionally, in 2008, he participated in GP2 Asia Series driving for the Super Nova team. He became the number 1 Asian driver after finishing fourth out of 26 drivers in the Championship. Fairuz was the nominated first driver for A1 Team Malaysia in the 2008/09 season and participated in the World Series by Renault for MofazFortec Motorsport, the first Malaysian motorsport outfit in the Championship, finishing the season in second place with an impressive 98 points and one race win. The new Lotus F1 Racing logo has been developed to represent the teams future and heritage. We have designed a typeface which is progressive and bold, yet instantly fitting with the teams long and successful history. Taking clues from the iconic Jim Clarke Type 49 the new ‘DNA’ device uses the Lotus colours in a recognizable form which is extremely flexible and will become a key element of the new team brand. 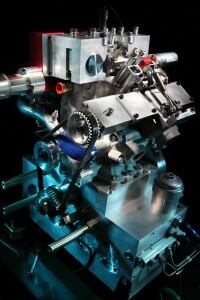 The first testing phase of Lotus Engineering’s Omnivore variable compression ratio, flex-fuel direct injection two-stroke engine has been successfully completed on gasoline. 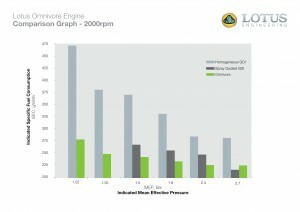 In addition to exceptional fuel consumption results, the engine has successfully demonstrated homogenous charge compression ignition (HCCI) – where the engine operates without the need for the spark plug to ignite the fuel and air mixture in the cylinder – down to extremely light loads. 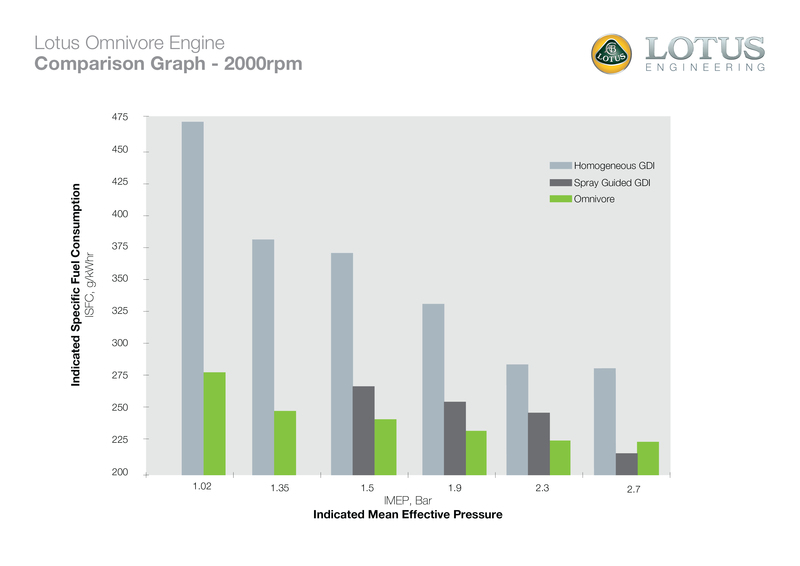 Traditionally, this has been challenging but this combustion process results in ultra low emissions and has been achieved over a wide range of engine operating conditions, even from cold start. A quick reminder to sign up and reserve your place at the gala GGLC Holiday Celebration at Ristorante Don Giovanni in Mountain View. Don’t miss out on the wine, food, door prizes and the annual GGLC White Elephant Gift Exchange. Click here and sign up by Dec 6th (Sunday).